Intrigued in visiting China? Interested in exploring and understanding the rich and diverse culture of the Middle Kingdom? Then come down to Earls Court Exhibition Centre and Stanfords, where we, China Holidays, will be present to provide you with all the information you need for planning and creating your once in a lifetime trip to China. From 31/01/2013 to 03/02/2013, China Holidays will be present at the Destinations: The Holiday & Travel Show, held At Earls Court Exhibition Centre (across from Earls Court Tube Station). There, China Holidays will have its very own booth, where customers can come and enquire about planning a trip to China. Get the chance to meet China Holidays staff in person, and discuss with them exactly what you want and wish for in a trip to China. Furthermore, China Holidays is able to offer you free tickets to the exhibition. Please just give our office a call or send an email enquiring for tickets, and our staff present at the exhibition will be able to give you your tickets at the entrance to the Earls Court Exhibition Centre. From 01/02/2013 to 28/02/2013, China Holidays in co operation with China National tourist Office, Hong Kong Tourism Board and Changjiang Cruises will have its very own stall set up in Stanfords travel bookshop, 12-14 Long Acre, Covent Garden, London, for the entire month, allowing for current and potential customers to come and enquire about their dream vacation to China. Feel free to come down and chat with our Chinese experts, made up of both native Chinese and foreign fanatics, who will be able to advise and inform you on all the country has to offer. 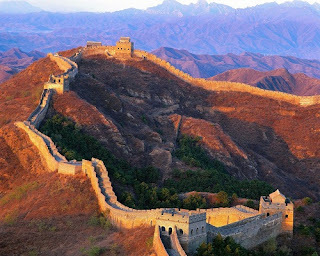 With China Holidays, we provide fixed itinerary group tours which are found in our China Holidays brochure, as well as giving you the opportunity to plan and design your own tour of China, to fit your needs and wishes. Come take a look at our many itineraries, offering a wide range of choice. Been to China’s major tourist spots before? No problem! As well as offering tours of China’s main sights, China Holidays offers our customers the choice to go off the beaten track and visit those sights that are mainly foreign to tourists, despite their wonder and uniqueness. Set on seeing specific sights in China? Fantastic! China Holidays can help you arrange your own personal tour, helping get you the best rates and experience available. To celebrate a year of Snake whilst at Stanfords, China Holidays in co operation with China National tourist Office, Hong Kong Tourism Board and Changjiang Cruiseswill be giving a speech and the chance to ask questions on China and our company every Thursday from 6:00pm onwards; it would be great to see all of you there! Furthermore, we will be holding a competition draw throughout the month, allowing one lucky customer the chance to win a cruise on the Yangtze River, travelling in style on one of Changjiang’s luxurious cruise liners. In order to enter this draw, simply come down to Stanfords and fill in one of our forms with your details. The results will be announced at the end of the month. 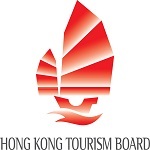 We would like to take this opportunity to thank you friends from China national tourist Office and Hong Kong Tourism Board for all the help and support! We at China Holidays urge you to come see us at Stanfords this February, and start planning your amazing trip to one of the most upcoming and exciting countries in the world. 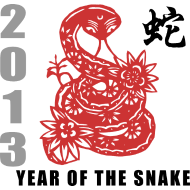 Make 2013, the year of the snake, your year to visit China.